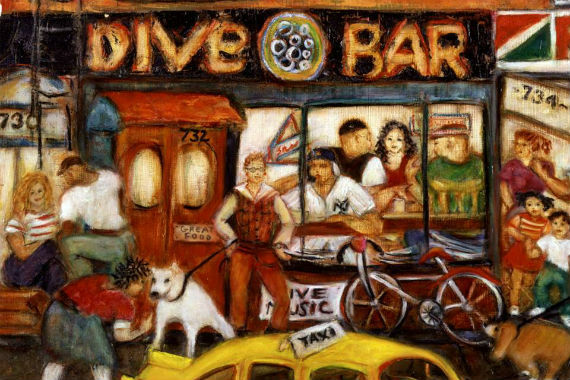 Welcome to Dive Bar, conveniently located on the southwest corner of 96th Street and Amsterdam Avenue, the place to be on the Upper West Side! "A meal so divine, it'll put you on cloud nine." "What keeps you coming back? We'd love to cheers to chat!" "If you ask us, the only kind of spring cleaning that matter is emptying your glass!" "Don't believe us? Ask any of our regulars!" "Forget your beach bod. Get a beer instead." Yes, I'd like to receive news from Dive Bar. Sign up for the Dive Bar Newsletter!